On October 3, Portland City Hall decided to postpone a vote on homeless rest area Right 2 Dream Too’s proposed move from Fourth and Burnside to the affluent Pearl District. At a public hearing, scores of R2DToo supporters as well as Pearl residents and business representatives contended in front of City Council. The move was negotiated by Commissioner Amanda Fritz as a way to resolve a zoning dispute between the city and the rest area, which left Right 2 Dream Too facing $25,000 in unpaid fines and the city facing a countersuit by rest area organizers. Right 2 Dream Too is a tightly-organized collection of tents nestled next to the Chinatown gate in Old Town/Chinatown. The rest area kicked off two years ago when a number of houseless, formerly houseless, and allied individuals in advocacy group Right 2 Survive leased the property from owner Michael Wright. Since then, R2DToo has allowed up to 100 people to get off the street each night, providing shelter not only from the elements but also from hostile police and passersby. 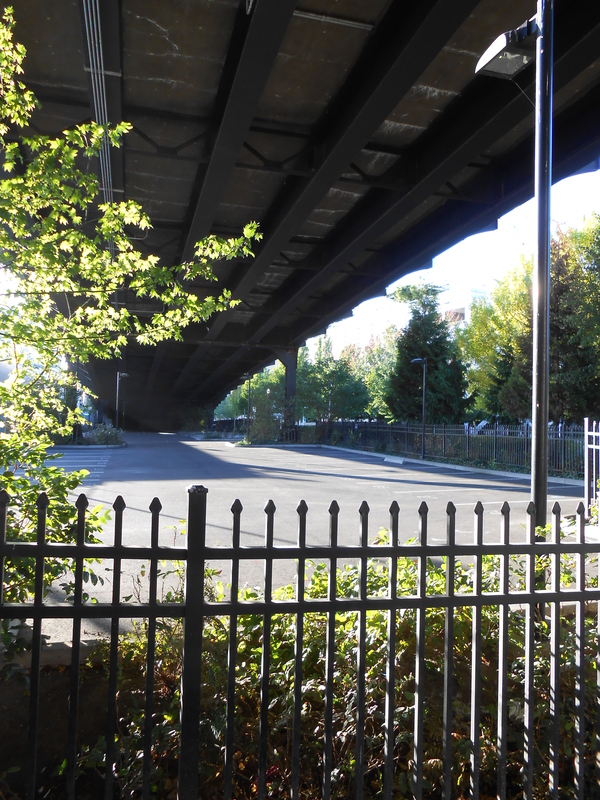 Aside from protection, the self-governing rest area also creates a sense of community for members of Portland’s large—and growing—population living outside, while raising awareness about houselessness for those who live in houses. Nevertheless, controversy is far from new to the group. Owner Michael Wright originally leased the land to the group to spite the city government after it razed the business formerly located on the site, an adult bookstore called Cindy’s. As Wright declined to apply for a building permit, the city immediately began levying fines against Right 2 Dream Too. When the group refused to pay—out of principle as well as necessity—fees quickly multiplied to their current levels. But as the city tried to bury the group in fines, R2DToo continued fulfilling their mission: creating a self-organized, self-governed, grassroots community of people living on the streets while allowing them to get eight to 12 hours of safe, uninterrupted sleep each night. At the hearing, Right 2 Dream Too member JJ Reynolds testified that during his six months at Right 2 Dream Too, an ambulance only needed to be called three times. In contrast, a police car showed up to the nearby Portland Rescue Mission almost every night. Lisa Mazatti, a former resident who has since entered school, told council that after moving to Portland, her arrival at the rest area was the first time she felt safe. Another resident testified in tears that during the thirteen days prior to her arrival at Right 2 Dream Too, she had been twice assaulted on the street. A man spoke of six individuals being pepper-sprayed by police under the Morrison Bridge after they were first ousted from the vigil against the camping ban outside City Hall and then from Terry Schrunk Plaza, highlighting the dangers faced by everyone living on Portland’s streets. Currently, the Pearl District Business Association’s website lists a number of upcoming community events such as Yoga Boogie (“supercharge the electro-magnetic field of your soul”) and a launch party for Hooks & Needles (“a new, locally-produced magazine for knitters AND crocheters”). Though Pearl residents claimed their neighborhood as the most economically diverse in Portland, it’s clear that the real motor behind the Pearl District is, in the words of one R2DToo supporter, “bourgie white people,” their homes, and their stores. That’s not to say they aren’t humanitarians, though. Many Pearl District residents chose to frame their disapproval as apparent concern for the unhoused, citing carcinogenic motor oil fumes from the nearby Post Office parking lot, rusty water from the Broadway Bridge, and even two types of fungus apparently common in pigeon droppings as problems with the new site. (When the woman who brought up the latter tried to goad commissioner-and-ex-nurse Fritz into saying their scientific names, she dead-panned, “I was a psychiatric nurse.”) Instead of creating a new “slum,” the city should instead fund more shelters. On this last point, some Pearl residents and Right 2 Dream Too organizers are actually in agreement. According to Right 2 Dream Too co-founder Ibrahim Mubarak, the rest area was originally started as a “direct action to let people know there’s not enough affordable housing, there’s not enough shelter space, and there’s not enough jobs where people can afford housing… It’s an action against the city officials that won’t create enough shelter space.” But at the same time, it’s clear that the existing shelter system isn’t working. According to one man, the city’s flagship Bud Clark Commons shelter has been dubbed “Blood Clark Commons” after a significant number of resident deaths. Another pointed out that though many at the hearing were focusing on shelters as a long-term solution, tents provide an important intermediate step. Aside from avoiding the claustrophobia of institutional rooms, Right 2 Dream Too also provides something else: involvement, investment, and participation. With its general weekly meetings, Right 2 Dream Too and its sister organization, Right 2 Survive, have fostered scores of politically astute, committed activists living on the streets. Indeed, it offers levels of democratic participation found in precious few homes or workplaces, much less homeless shelters, with the weekly general meetings through which the camp is governed. In all this, it’s easy to forget that it’s not just that business interests want to keep R2DToo out of the Pearl; there are also powerful business forces that desire them out of Old Town/Chinatown, a neighborhood much like the Pearl prior to its economic “renewal.” A youth hostel is planned across the street from the current site, which the owner has said would be undevelopable with the rest area in its current location. Moreover, the rest area’s land itself is becoming prime real estate. The first step, however, will take some more time. After developers appeared to dangle the offer of a joint partnership in front of council, Mayor Hales dubbed it an offer any politician would be “crazy to refuse” and pushed the council to consider more information before voting two weeks later, on the 16th. This offer would seem not to be germane to the question of whether the new site would require a land-use review, but this was not addressed. To her credit, commissioner Fritz insisted that Right 2 Dream Too be included in these meetings. Whatever happens, council will vote on the 16th as to whether further review is required. In the meantime, and perhaps for a long time to come, the fate of Right 2 Dream Too hangs in the balance. But it is likely that the rest area will remain for a long time to come. For those who support a livable city and real, participatory democracy for all, this should be considered a victory, if not the final word. This article originally appeared in the October 2013 issue of the Portland Radicle.